Are you looking for a hat that can be completed in an evening? We’ve got one for you! 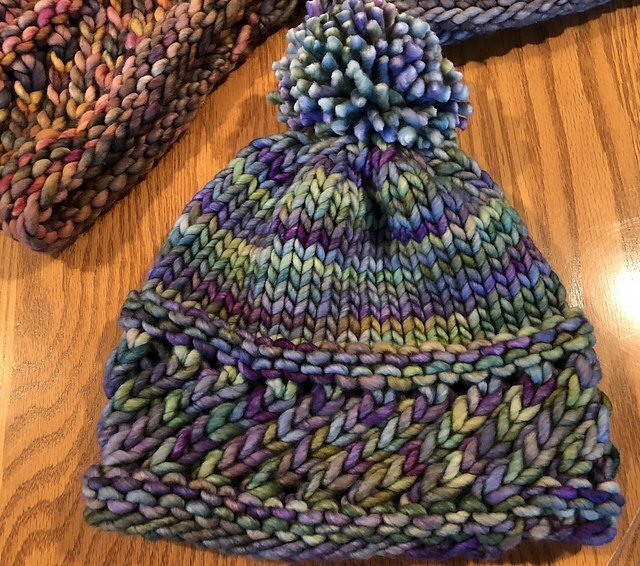 In this 2-part class, you will get started knitting in the round and begin the textured portion of this delightful adult hat. In the second class, we will show you how to switch to double pointed needles and finish it off. You’ll want to make more than one of these because it’s so cute and FAST! Materials: 1 skein Malabrigo Rasta Yarn, US 15 16” circular needles, set of US 15 dpns, stitch marker, tapestry needle. Pattern will be provided in class. Skill Level: Beginner – must be proficient with casting on, knit and purl stitches.